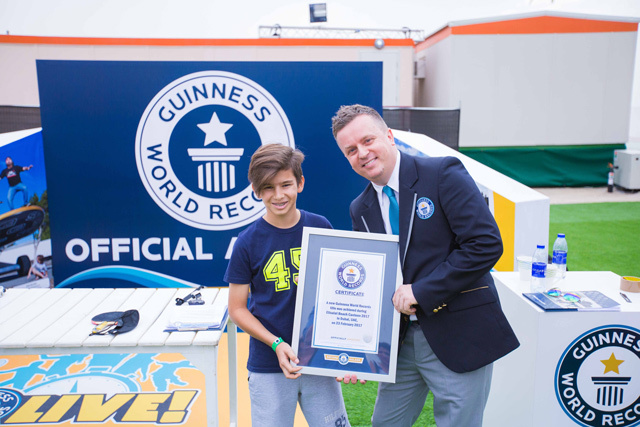 Guinness World Records, the global authority on record-breaking achievements, releases GUINNESS WORLD RECORDS 2018, unveiling extraordinary feats from record holders across the globe. The 63rd edition of the best-selling annual is filled with new jaw-dropping photos, never-before- seen stories, plus new accomplishments and information that will inspire, educate, and illuminate the wide world of record-breaking triumphs. 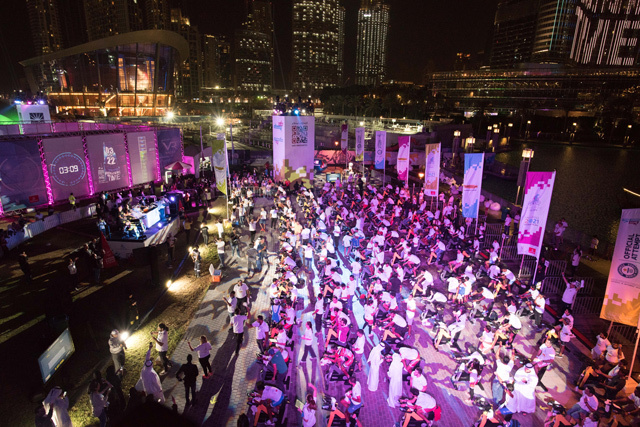 A total of 300 participants cycled on 100 stationary bikes to produce 8,999 watt hours of energy in 60 minutes at Burj Park in Dubai, UAE. 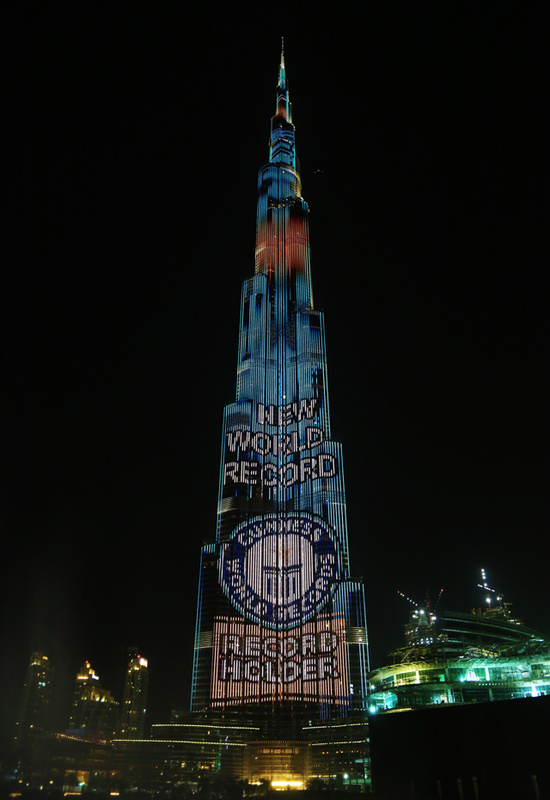 The record attempt, part of the nationwide UAE Innovation Week Celebrations, featured results and updates that were dramatically reflected live on Burj Khalifa, the world’s tallest building. 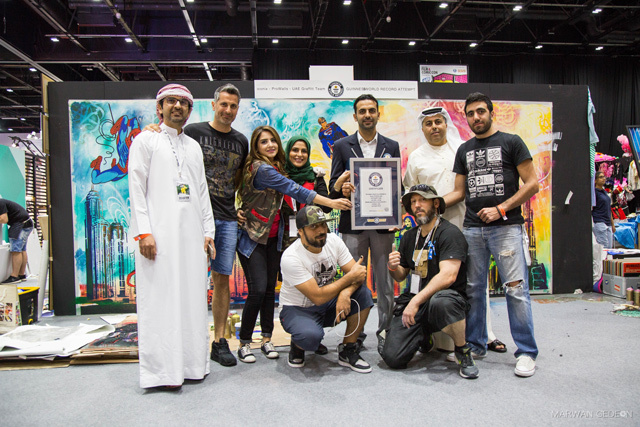 An artwork produced by a stencil measuring 11.13m² (119.8 sq ft) was unveiled at the Middle East Film and Comic Con in Dubai. 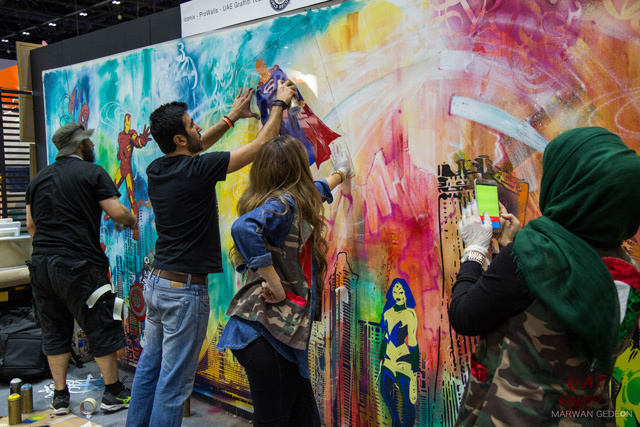 Artists from ProWalls and the UAE Graffiti team, in partnership with online art store Iconix, took three days to complete the layered sections produced by airbrush, spray gun and laser-cut stencils. 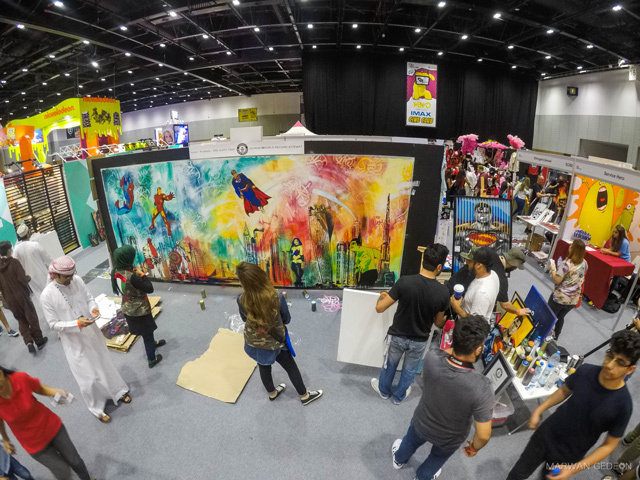 The finished image depicted superheroes such as Spider-man, Superman and Batman against the Dubai Skyline. 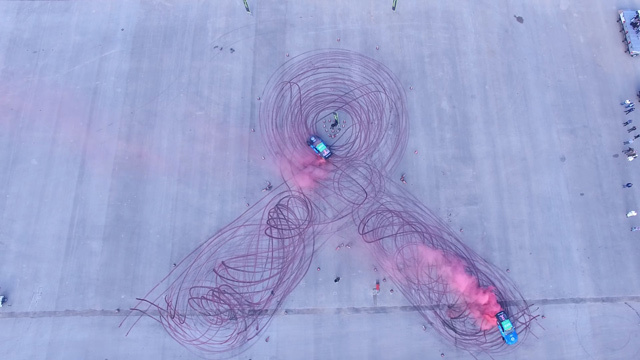 Al Jazirah Vehicles Agencies and Al Jazirah Ford Racing created the image of a breast cancer awareness ribbon from tyre marks measuring 883.98m² (9,515 sq ft). 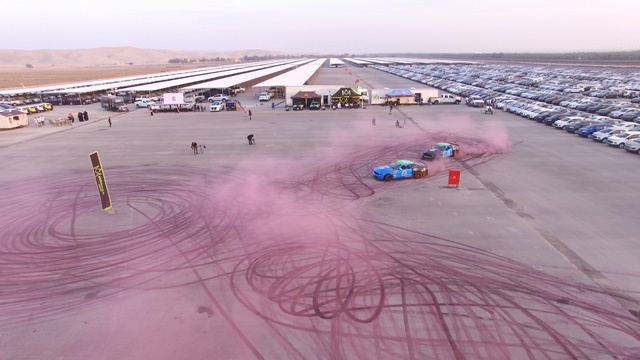 Saudi racing drivers Abdulhadi Al Qahtani and Muath Al-Essa took an asphalt patch outside a car storage centre in Riyadh, Saudi Arabia, drifting their Ford Mustang RTR-Ds to create the image. The record attempt was a part of a campaign to raise awareness of breast cancer. 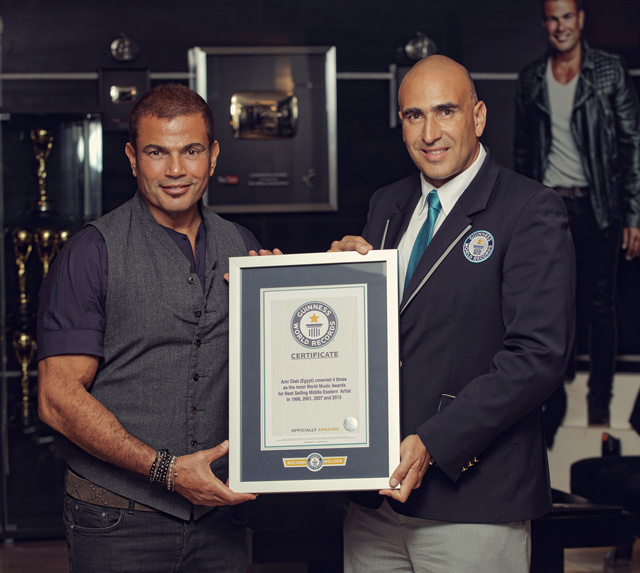 Since the World Music Awards was founded in 1989, no artist has won Eastern Artist award more times than the Egyptian singer-songwriter Amir Diab: In 1996, 2001, 2007 and 2013. Palestine’s Mohammed Alsheikh managed 38 full body revolutions while maintaining a chest stand position in 60 seconds in Amman, Jordan. Known as “Spider-boy”, contortionist Mohammed made it to the final three contenders in the 2015 series of MBC’s Arab Got Talents. He practices for hours every day at a sports club in Gaza City, and hopes to become a sporting world champion. 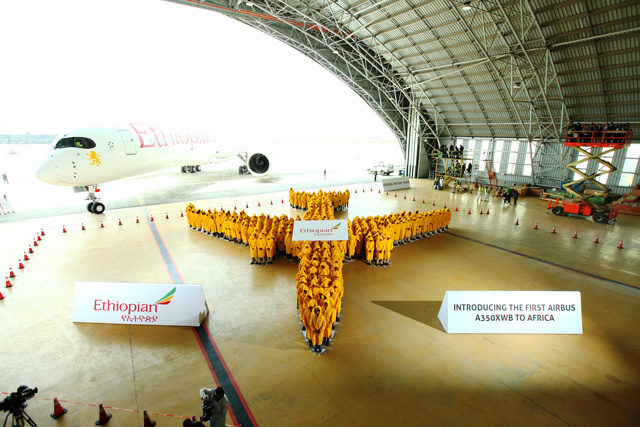 Celebrating the delivery of Africa’s first Airbus A350 XWB, 350 employees of Ethiopian Airlines gathered in a maintenance hangar at Addis Ababa Airport, Ethiopia to create a human image of the aeroplane. Dressed in matching bright yellow uniforms, they arranged themselves in order to clearly represent the body, wings, engines and fins. The real aircraft has been nicknamed “Simien Mountains” by staff, in reference to a local landmark. At the Yanbu Flower Festival in Yanbu, Saudi Arabia, a carpet of flowers measuring 16,134m² (173,664.9 sq ft) was created. The carpet comprised some 1.8 million flowers of 14 different types. To qualify for the record, all flowers had to be natural and live-growing, with no visible spaces in between them. 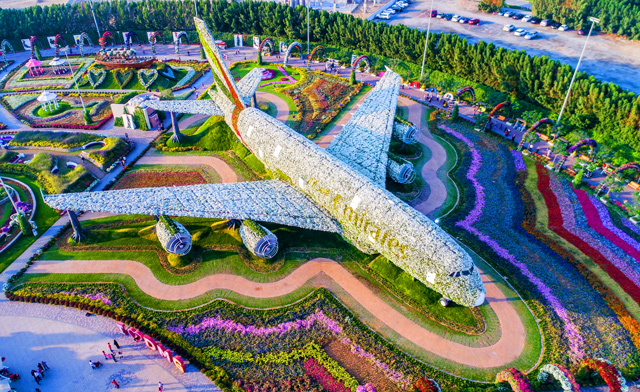 A flower structure in the shape of an Airbus A380 aircraft was constructed by Dubai Miracle Garden and measured 72.95 X 78.34 X 21.98m (239 X 257 X 72 ft). The display can be viewed from a special platform comprising two levels in the centre of the garden. 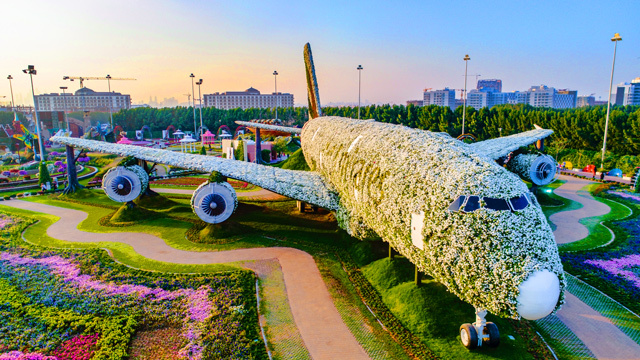 It is estimated that the aircraft will weigh more than 100 tonnes (220,462lb) when all 5 million flowers are in full bloom. A wood and copper lantern measuring 13.09m (42 ft 11in) high and 5 m (16ft 4.85in) wide was displayed at an event organised by Sharjah Asset Management. 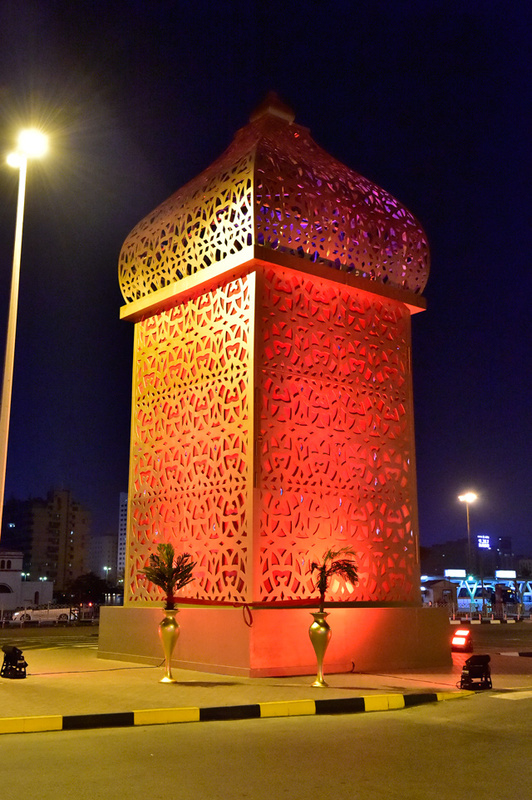 The enormous lantern, which was created as a part of if the Souq’s Ramadan Festival, is now a permanent installation at Jubail fresh food market in Sharjah. Alexandre Mitterrand (FRA) achieved 27 table-tennis ball bounces on a racket in 60 seconds while blindfolded during a GWR Live! event at Etisalat Beach Canteen in Dubai. It was one of the three different records that the Dubai based teen attempted that day.